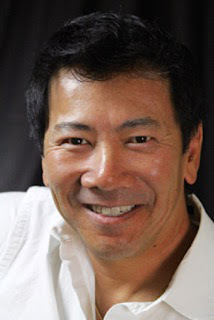 We are so pleased to feature Craig Lew, multi-talented producer/director and author. 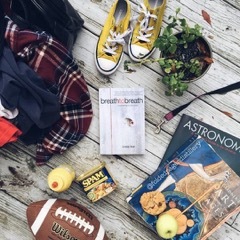 His debut YA novel, BREATH TO BREATH (Relish Media) came out this week. Be sure to enter into his giveaway for a signed copy. You are an author, illustrator, director, and producer. Tell us about your background, and your journey from all of these creative pursuits to writing a YA novel. Although I’ve been a storyteller since childhood, my entrepreneurial upbringing lead me away from writing toward a career as a young business executive. I was the president of a consulting firm when I got a call that an emerging movie studio was seeking help building their facility. This studio was to become DREAMWORKS SKG. It was here I rediscovered my love of storytelling. At this point the movie bug had firmly bit me on the…um…well, let’s just say it bit me. This started me on a personal journey studying storytelling in all of its forms. 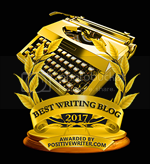 I won an award for my horror screenplay “The 13th Reflection” and began ghost writing screenplays, performing dialogue polishes and developing story concepts for various production companies. But I always wanted to write books for children. While researching the current best sellers, I happened upon CRANK by Ellen Hopkins. I had never read a contemporary novel in written in verse, and it blew my mind. I was invited to the Nevada SCBWI mentorship run by Ellen Hopkins and met her editor, Emma Dryden. Five years later a dream came true - to work with Emma Dryden on BREATH TO BREATH. Tell us about your debut YA novel, BREATH TO BREATH. BREATH TO BREATH is inspired by a true story and is written in verse. It’s the story of William, a seventeen year old uprooted from the only home he’s ever known to live with his estranged father. William strives to be a pillar of good in his new surroundings and becomes obsessed with helping a little boy he suspects is being abused. Although the novel depicts sexual abuse, BREATH TO BREATH has a hopeful message. This project came together in a unique fashion. Rana DiOrio, Publisher of Little Pickle Press, was seeking an author to write an edgy YA story based on true events. She tweeted a want ad and I responded. We both happened to be at the LASCBWI conference in Los Angeles and were able to meet and discuss the project. A month later I met with William and we hit it off immediately. With William’s blessing, a contract followed. BREATH TO BREATH deals with the difficult topic of child sexual abuse. Were you worried about your ability to write this story? I’d spent many years writing horror screenplays so I wasn’t concerned about difficult imagery. But when the events are true and the person is real, it hits you at your core. My biggest obstacle was figuring out how to bring the horrific events suffered by young William forward in the timeline to occur when he is seventeen. The second obstacle was pulling the adult William’s wisdom and insight backward in time and in an appropriate way for a teen. 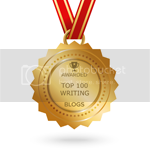 Why did you choose to write the novel in verse? I didn’t plan on writing BREATH TO BREATH in verse, but my actions helped turn things in that direction. I introduced Rana and William to CRANK, which is based on a true story. hey both felt strongly that verse might be the correct direction … I think my editor, Emma Dryden, might have been thinking this all along. I was a bit apprehensive at first, but with Emma as my guide, I could not go wrong. The publisher has requested BREATH TO BREATH Books 2 and 3. This is in response to studio interest in developing three films based on the trilogy. That's exciting! Who are some of your literary inspirations? CRANK has probably had the most direct impact on my career as a writer. Through CRANK, I met Ellen and through Ellen I met Emma. And through Emma I found BREATH TO BREATH. What is the best advice you’ve been given (or you would give) on writing or storytelling? “Concept, Concept, Concept…” From Bill Mechanic. At the time Bill was Chairman and CEO of Fox Filmed Entertainment. What he went on to tell me was that a strong story concept will be successful even if it is poorly written. But a weak story concept, even when well written has few chances of being salvaged. Born in Fresno California, Craig Lew is a 4th generation Chinese American. He’s the grandson of a mafia boss, son of a restauranteur and entrepreneur. Craig's storytelling career began even before he had learned to write. As a child, he would steal his father's tape recorder and make different voices for each character, recording tales about strange planets or scary creatures. Craig has never lost the love for all things that go bump in the night, but believes that in any story the best hero is the one that seeks love. His greatest joy is writing a smart, witty, and tough female hero overcoming a terrible injustice without the need of rescue. Although Craig has been quoted as saying he's a writer that loves to direct, and a director that's forced to produce, Craig's true passion is writing. 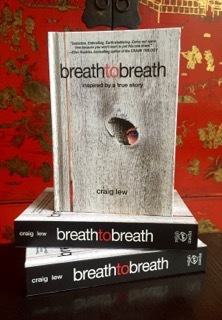 Craig's debut YA novel BREATH TO BREATH is the first of a trilogy. Based on a true story, it is written in free verse edited by Emma Dryden and is published by Relish Media and imprint of Little Pickle Press. Wow! I don't think I knew that Craig worked with Dreamworks and was quite so amazing (though I knew he is pretty darned amazing already)! I am cracking up over the anecdote about wanting to be a TX cowboy. I'm glad he became a writer/illustrator/filmmaker instead! Although i still wear the cowboy boots all the time and the hat when it snows or rains. You forgot to add male model to your list of hot accomplishments...just sayin'. A big congrats on creating another work of art. My best to you! Hahahaha...EB lewis sort of conned me into that. Thanks Lori Ann. Your book sounds fascinating. I can't wait to check it out! Thank you Kirsti, I hope you enjoy it. I am so proud of Craig and of BREATH TO BREATH. Thank you for your shout outs, Craig. You are a masterful writer and I look forward to continuing on the journey with you. You've been involved every step of the way...As my dad would say, "If you're winning, don't change the game plan." Concept is king and it sounds like BREATH TO BREATH has a great concept at its core. Congratulations!